When the author is five years old, her father, a soldier in the German Wehrmacht, is killed in battle. 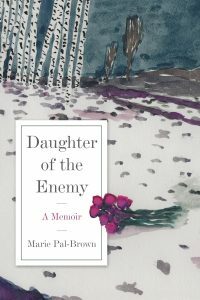 Daughter of the Enemy recounts how women and children survived the hardships of WWII and postwar Germany, and how a ravaged country succumbed to the silence surrounding the Holocaust. It weaves, from the frayed strands of memory, a fully human accounting of coming to terms with hard truths, finally creating a tender memorial to the father lost in war. Marie Pal-Brown was born and raised in a small town near Cologne, Germany. Educated at Durham University in England and the SDI in Munich, she emigrated to America in the early sixties. She is the co-author of three works of lexicography. Her poetry has been included in various anthologies. She lives in Long Beach, California. but also with hard-won hope and the possibility of redemption. 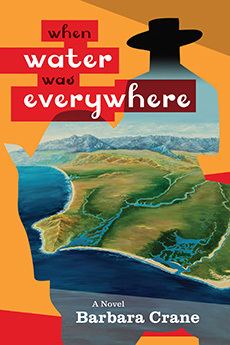 Here is the early Los Angeles basin before the American conquest, a portrait of the land and the people painted in brilliant colors … showing the emotions, environment and manmade objects woven carefully and accurately into a tense and very readable novel. 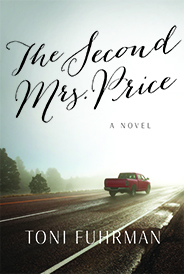 Barbara Crane is a novelist, journalist and teacher. Her work has appeared in the Los Angeles Times, Sun magazine and other publications. Her first novel, The Oldest Things in the World, won the Silver Medal award from ForeWord magazine. She graduated from the University of California, Berkeley with a degree in history and English. Barbara lives in Long Beach, California with her husband and family.